Dolce Bellezza hosts this fantastic literature challenge - now in its 9th year! I've joined for the last 7 years and, now Paris in July is over, I'm collecting my reading for this challenge. 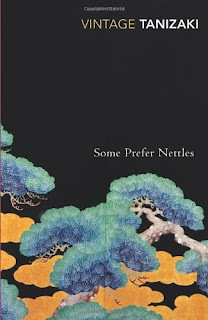 The only rule is read at least one work of Japanese Literature between June 2015 and January 2016. That's not hard is it... everyone can join in. The review site here, lists other bloggers review, which offer great suggestions if you haven't got any leads yet. Here, Dolce Bellezza outlines her reading plans which is also an inspirational list. 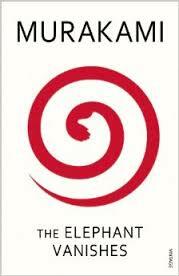 here's a review I liked..
My reading journey to Paris started with 'Ransacking Paris'. Patti Miller, an Aussie women who's dream to discover Paris and France was postponed while she raised two boys in the Blue Mountains near Sydney. But when the chance came for her partner to work in Europe and she could spend a year writing in Paris, she couldn't resist. This was a great book for me to read - I associated with Patti's Australian, far from the rest of the world, rural life experiences, and also to her dreams. I loved that the journey she took me on was a personal story, discovery, and also a piece of literary education. 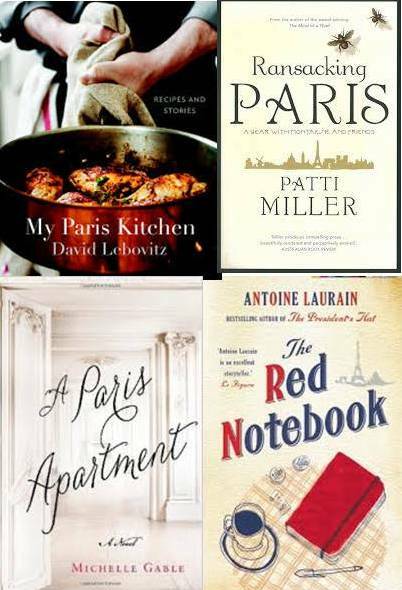 She introduces the reader to some of Paris most loved classic authors and memoirists over the years. 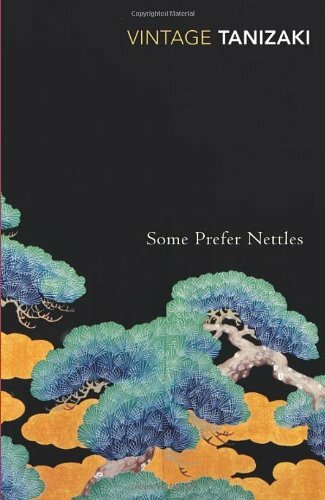 I couldn't put this book down until I finished it. My next step was the Red Notebook. 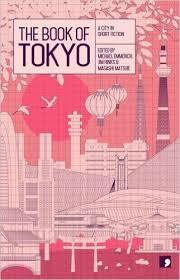 A novel with a simple and yet dreamy storyline. A wonderful man discovers a lost woman's handbag, and the red notebook. While she recovers from the robbery, unawares to the events happening in her apartment, he is searching for her - to return the lost property. A story with some interesting twists, it kept me captivated - probably hopeful that this 'romantic Parisian male' finds the unknown heroin and makes all her dreams come true.. 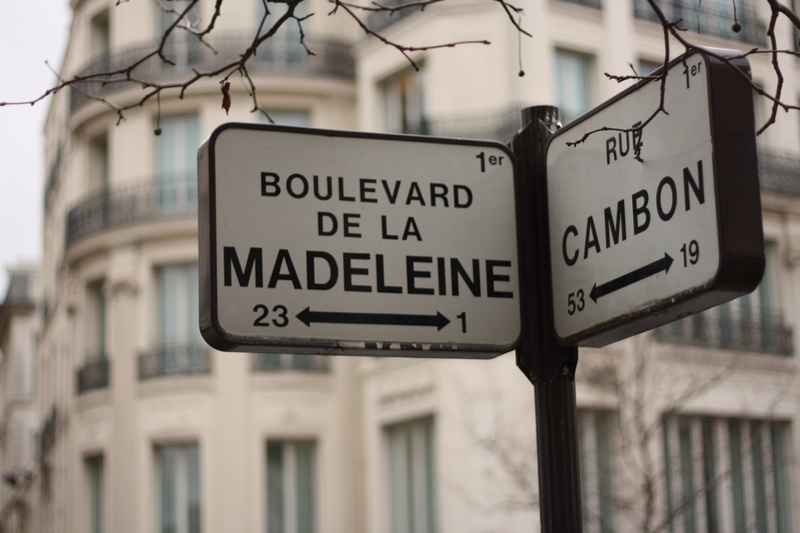 I did love that the story was set in Paris and involved bookstores, cafes and apartment buildings. On a different path - reading "the Paris Apartment" was a tour through the Belle Epoch with April, the American with a specialty in French Furniture and Auctions. This story took me back and forth to the Paris of Victor Hugo's daughter and the society of artists around Pablo Piccasso and Boldini, and the mixed up marriage of April. Paris for her was an escape from difficult memories and difficult relationships - as it was for the other leading lady of the Novel 'Marthe'. 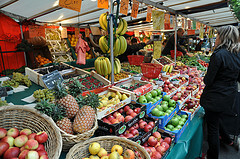 While experiencing some of Sydney's coldest days, I made my way to Paris through the eyes of five authors, and the stories of Patti while she finally got to discover the Paris she'd dreamed of in her youth, Laure & Laurent whose lives became entwined in Paris, David who's love of great food transported me to markets and cafes of Paris, and with April, who found rest and reflection in Paris. 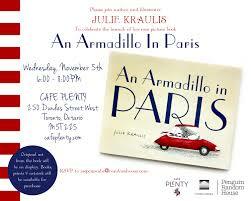 The fifth author, Julie Kraulis, took me to Paris with Arlo, the Armadillo. Arlo discovered the classic highlights of Paris on his journey to meet the Iron Lady. It was a grand finale for my Paris in July. Simple, elegant and romantic. Paris means different things to everyone. Through the magic sights of the Sacre Coeur, the Seine, and the Iron Lady, or the lane ways, the Louvre, the view from the Galleries Lafayette, and the stories associated with the grand characters of the past - Boldini, Picasso, other artists, and Montaigne, Rousseau, de Beauvoir, and other memoirists - the journey to Paris this July was complete for me with Arlo - who fulfilled his grandfathers wish for him to visit Paris. 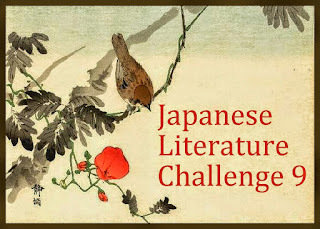 For me now - it's time to head to Japan... for Dolce Bellezza's Japanese Literature Challenge 9. 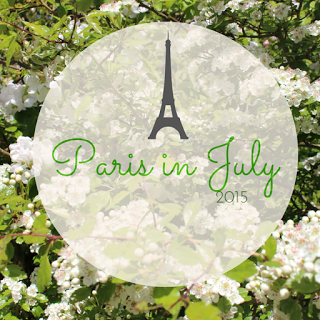 Paris in July is a month long blogging event that my friend Karen and I dreamed up more than 6 years ago. Karen has been a mentor to me for a long time, particularly for encouraging me to read more and to enjoy books. As a child I struggled to enjoy reading, and had greater opportunities to enjoy the outdoor lifestyle and my music studies - so outdoors or music always got more of my attention than books. However, as an adult, i realised that there is so much to learn from books, and there is a vast world of amazing history, thinking, politics, story telling and so much more that can be enjoyed from books. So when I watched Karen devour books (long before her little one appeared), I sought her encouragement. She introduced me first to book club, which I loved - the motivation to read something so I could join in the discussion. I read things I would never have chosen, and learnt to be honest about how I reacted to those books. When book club folded, Karen introduced me to blogging, and a whole new world of book readers. 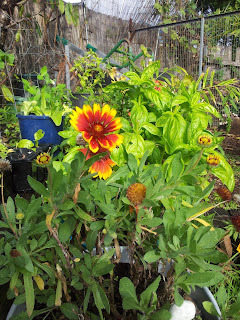 However my blog is more about the wide range of things I think about in life - books, films and live performances are one subject I bring here, but also my gardening, permaculture and social justice thinking too. 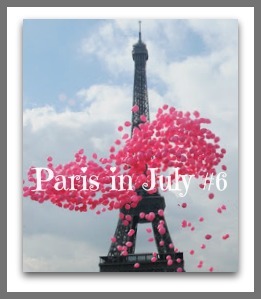 So Karen and I proposed to bring her book blogging friends, and mine, together to celebrate all things Paris in July. As a side, here in Australia, July is a cold and dreary time, so dreaming of Paris in July makes us feel happy. This year, Karen has taken a break from co hosting, but she's never very far from me and has supported this event in the background - thank you K. So hosting this year fulltime has in fact been just that - a very busy month. I was trying with all my effort to read and comment on all the posts - and loving what I could get to. 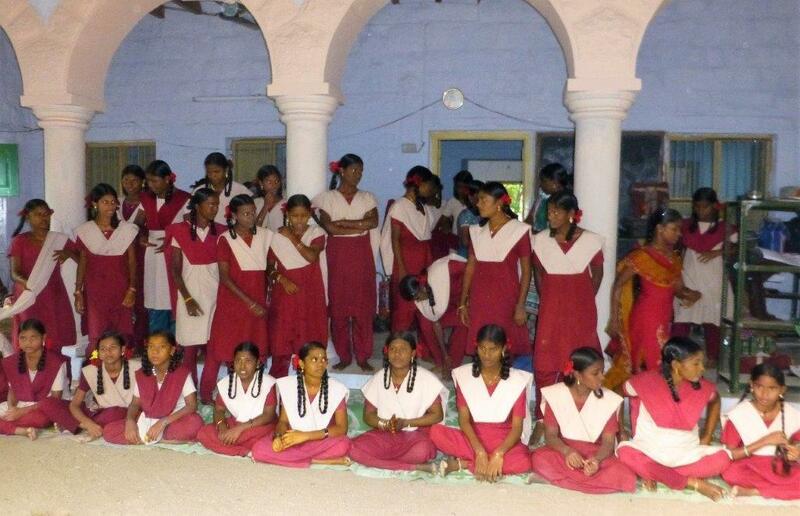 The participants list was growing, and there were some wonderful contributions. But for me, I didn't get much of a chance to do my own Paris in July Posts, and I found myself feeling a little stressed about that. However, on reflection, hosting, reading all the posts, and visiting Paris with you all, is just what Paris in July is about for me. I'm a parasite of sorts...virtually traveller. 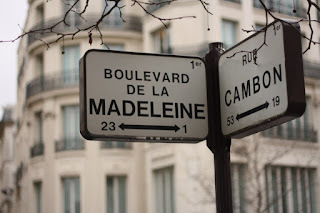 I've reflected on why I do Paris in July, and why I love it, and it seems to me, my strongest motivation is that I do love Paris - the real city, and also, the romantic notions that have been associated with Paris for centuries. I've been studying French, in a very part time way, for more than 8 years, and in these studies we learn about the culture, the politics, and the society - we study events like the Charlie Hebdo shootings, the many strikes that occur in Paris, the refugee crisis and Calais, the elections - and I've come to like the way Parisians and the French are very public about their opinions. 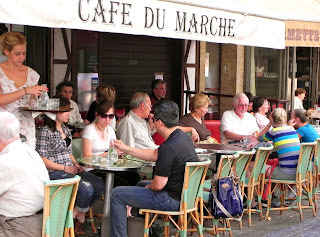 The Parisians live their life in the streets - the markets, the cafes, the protests, the shops, the metro.... we can observe all this - as authors have done for centuries. I reflected on that this year as I read your book reviews, and as I enjoyed Patti Millers "Ransacking Paris", where she introduced me to literary heros of the past who enjoyed visiting Paris - I think I love Paris because it challenges my Aussie upbringing - where private is private.... 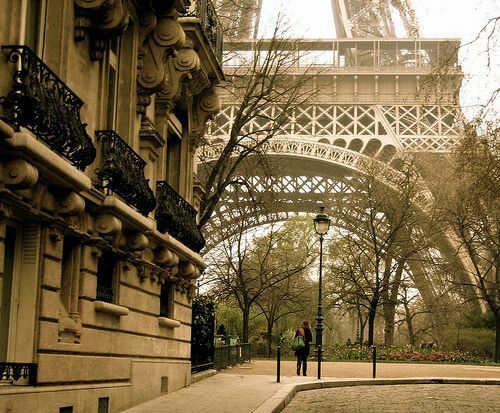 I love watching people.... and Paris is where people live in the streets.. When I was a child, my parents were world travellers, and I spent the first 5 years of my life amongst some of the worlds busiest and intense cities, moving alot, but I was always watching people, learning about the world through other peoples public lives. When we returned to Australia, we moved to a very quiet and remote rural setting where public lives were hard to observe - Australians, and country folk at that, are not very social creatures - and I missed that. 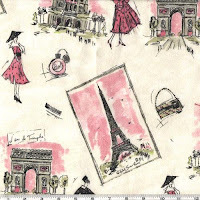 There's so much to love about Paris - the artists that come from Paris, the artists that are inspired by Paris - fashion, film, food, literature, architecture, music, and the lists goes on - they all share with us their take on the character of Paris. I have been overwhelmed with your thanks and appreciation for hosting Paris in July 2015, and while I appreciate the acknowledgement, the event doesn't happen without all of you - so thank you to all the participants - the regular and frequent, and those who popped in. Everyone offered something to make 2015 an awesome experience of Paris Proportions. Some of us haven't finished yet, and we're hoping to post our summary/wrap ups and final posts in the near future. So I thought we will have one last Mr Linky to the summary posts. Then next week (when I have a little more time) I'll do my final final closing post. So, any last minute recommendations, reviews, idea's or posts - please go for it - we would all love to hear from you. Paris in July has been HUGE! Well, what an amazing month we've had! Thank you to everyone who joined in and every one who visited. Firstly, here's what happened this week (check out the mr linky here for links to all these posts). My apologies if I haven't mentioned you, there was alot of activity to keep up with. 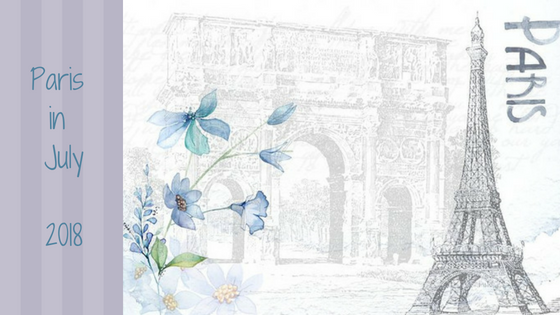 Sharon (Faith, Hope and Cherrytea) – please visit here to see Sharons impressive reading reviews including City of Darkness and Light, Tides of Honour, a Year in Provence and Hotel du Lac. Nadia A (abookishwayoflife) posted about this to die for little book – Madeleines: Elegant French Tea Cakes to Bake and Share.... what a wonderful idea! Brona’s Books found an enticing book titled ‘the most beautiful walk in the world – a pedestrian in Paris’ – sadly the book didn’t meet her expectations. Melissa (Avid Reader Musings) reviewed the book ‘Bringing up Bebe’ about the wisdom of French Parenting. Jane (Beyond Eden Rock) introduces us to Oriel Malet, author of Two Girls in Paris: Jam Today (1957) – thanks Jane. Molly (my cozy book nook) reviewed Lisette’s List, by Susan Vreeland, and Molly raved about this book based on the art world. Esme (Chocolates and Croissants) for her final post shared her own little secret place in Paris. Thank you Esme. Louise (A strong belief in wicker) took us on a visit the Paris Plages – the extravaganza on the banks of the Seine. 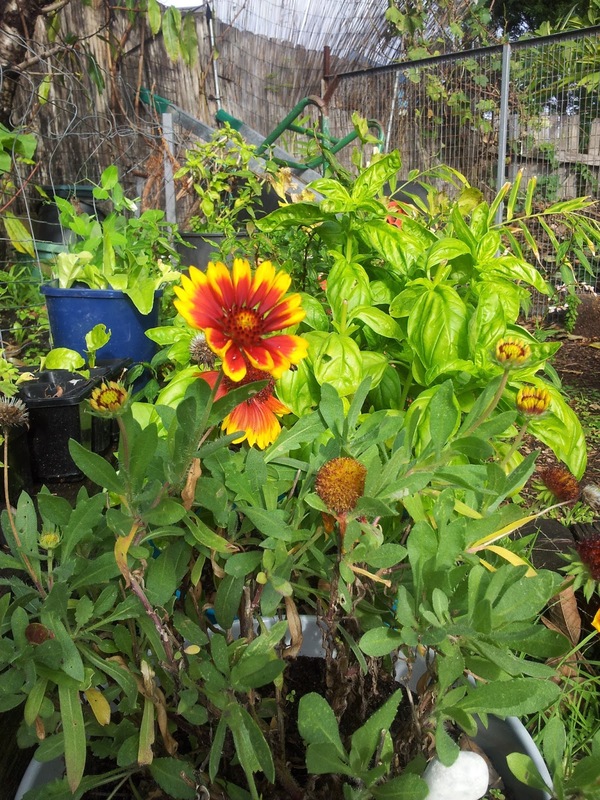 Deb Nance (ReaderBuzz) shared le Jardin du Luxemburg for her ‘wordless Wednesday post, photo’s from past and present. This week Teddyree took us to Chateau de Verseille for a visit. Photo’s and snippets. Lisbeth (The Content Reader) – thank you for this delightful memory – Music from 1964 – Natalie by Gilbert Becaud – love that clip. Arti (ripple Effects) reviewed the film ‘Clouds of Sils Maria’ by French Director, Olivier Assayas. Mae posted the French classic Salade Nicoise, an everyday French dish. 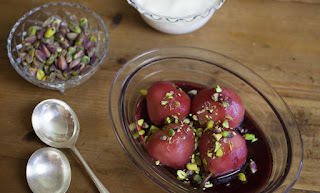 Tamara posted on poached pears and offers two different recipes. 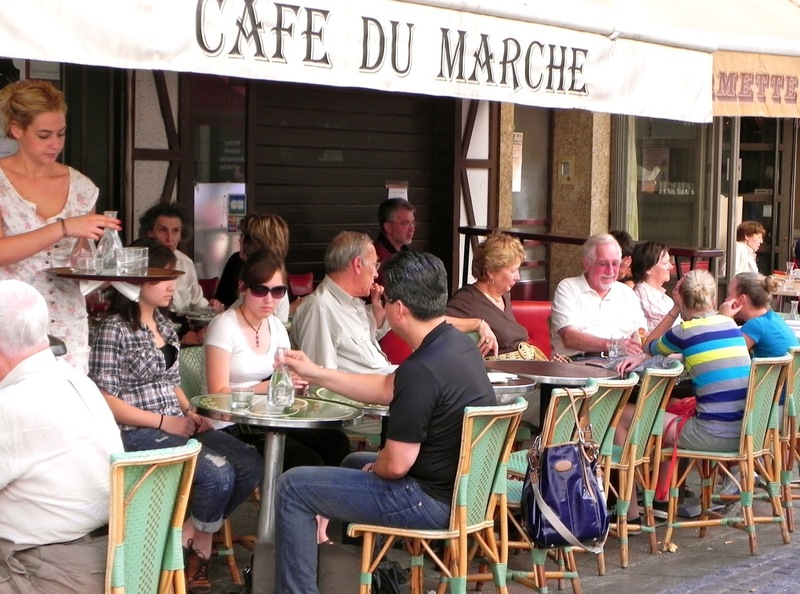 Mardi (eat.live.travel.write) says ‘yes you can get a decent coffee in Paris’ – check out this post even just for the photo’s of coffee! I would personally like to post a further Paris in July Summary in a couple of days, and some of participants are also posting summaries, so keep in touch. Don't be strangers. and today I'm awarding Mardi (eat.live.travel.write) a special award for a post on Coffee in Paris. 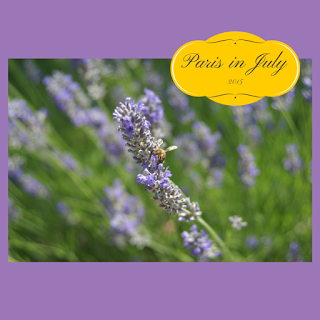 Paris in July has officially ended - however, I've been so busy reading the amazing posts from all the Paris in July participants, I haven't posted my own Paris in July posts. So I've decided I'll just post these over the next week or so... [and the official Paris in July summary post will come soon too]. This is a brief post, because I didn’t get a lot of photo’s – but earlier in July I was invited to a friend’s place for a French Dinner. My friend and I have been attending the same French class for a few years now, and we wanted to celebrate Quatorze Julliet in a simple way this year, as she was heading off for holidays the next day. I thought I'd share two recipes for poached pears (because I just love this simple low fat dessert option) – one from Aussie Chef Maggie Beer, re known for her love of fresh from the garden produce, and the other from American born bus France Based Chef, David Lebovitz, because I’m reading him now. Additions could include: one cinnamon stick, 2 teaspoons whole cloves, black peppercorns or allspice berries, one lemon half, one spilt vanilla bean, 2-3 star anise, 6-8 fresh ginger slices. Peel the pears and set aside. Place the Sparkling Ruby Cabernet and sugar into a small pot, which is just big enough for the pears to fit in snugly. Place over a high heat and bring to the boil, then add he pears and reduce the heat to a gently simmer. Place a lid on the pot and allow to poach for 30 to 40 minutes or until the pears have cooked through and have taken on good colour. Remove the pears from the pot and set aside. Turn the heat up and reduce the Sparkling Ruby Cabernet to approximately ¼ cup, which will create a beautiful red syrup. Pour the syrup over the pears and allow to sit and come to room temperature. Sprinkle with the pistachio and serve with the Crème Fraiche on the side. I love poached pears, the flavour of Cinnamon and cloves, and a dollop of double king island cream. Followed by a sweet spicy dessert wine. 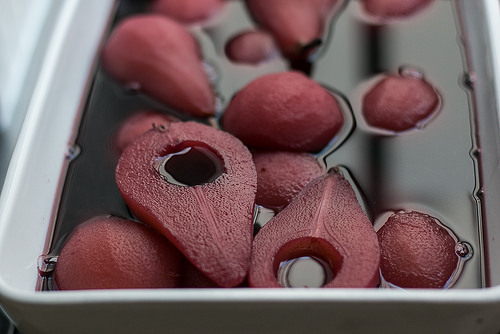 If you have a favourite Poached Pear recipe, let me know - I'm up for trying some new ones.